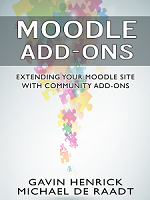 RT @moodlehelen #moodle 2.0 Preview 3 now available http://short.ie/r9545c Try it out on qa.moodle.net tomorrow! @sharonlflynn i got one of those yesterday, i just ignore it. Same with email systems which require verification.